Why Did the US Indict PLA Officers for Hacking, Economic Espionage? The United States upset a delicate bilateral status quo with the indictment. Did it have good reasons for doing so? From at least in or about 2006 up to and including at least in or about April 2014, members of the People’s Liberation Army (“PLA”), the military of the People’s Republic of China (“China”), conspired together with each other to hack into the computers of commercial entities located in the Western District of Pennsylvania and elsewhere in the United States, to maintain unauthorized access to those computers, and to steal information from those entities that would be useful to their competitors in China, including state-owned enterprises (“SOEs”). Following revelations like Mandiant’s 2013 APT1 report, it became quite apparent that the United States government would have to face the issue of cyber espionage originating in China head-on. We went from asking “if” the United States would pursue legal action against China to “when” it would do so. The DoJ’s indictment, the first of its kind, is a watershed moment in U.S.-China relations and tells us quite a bit about how the United States plans on handling non-kinetic asymmetrical threats originating in China. First, as Paul Rosenzweig notes in Lawfare Blog, the DoJ indictment is “a perfect example of Lawfare (writ large).” Even though the indictment lacks any real teeth in terms of enforcement, it is an example of the United States government using the tools of the law to pursue the national interest and an important national security objective. The immediate benefit of the DoJ indictment, which has the Internet’s China watchers abuzz, is its effectiveness in signaling the United States’ goals and intentions. It tells China that the United States will not shy away from calling out its state agents publicly, naming and shaming them with evidence (evidence that China sees as insufficient and “fabricated”). The indictment additionally has an important effect on domestic audiences. Given widespread concern among U.S. corporations that state-sponsored cyber espionage may give Chinese firms a competitive edge, the DoJ indictment is a reassuring step that the U.S. government will step up for American economic interests. In fact, the logic behind the indictment seems to begin and end with its utility as a signaling tool. In practical terms, the indictment appears to be wholly ineffective at actually addressing the root problem of cyber espionage originating in China. None of the defendants listed on the indictment will ever show up in the U.S. for trial and the indictment itself is unlikely to moderate China’s cyber espionage activities. China does incur some costs as a result of being named and shamed by the U.S. DoJ, but as long as it can credibly issue strongly worded statements rejecting all claims made by the United States, it can turn the indictment on the United States. As it does with human rights and other issues, China may charge actors in the United States with similar crimes. Additionally, as we have already seen, China will be quick to make the diplomatic costs of such accusations apparent to the United States. The DoJ’s indictment is a calculated and important move that will have important repercussions for how the United States and China manage their rivalry going forward. As Lawfare‘s Jack Goldsmith puts it, “the indictments can be seen as a calculated escalation of pressure designed to demonstrate United States’ resolve to clamp down on corporate cybertheft.” By standing up for American commercial interests and explicitly pointing fingers at members of the PLA with well-substantiated evidence, the U.S. moved to change the status quo in relations between the two countries. In doing so, it sent an important message to audiences both within the United States and in China (as well as the rest of the world) that the U.S. will not remain silent on state-sponsored acts that harm U.S. national interests, including the competitiveness of U.S. firms. 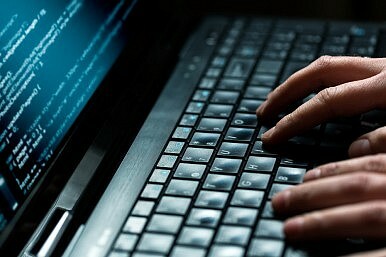 The Department of Justice has charged a Chinese businessman with hacking into Boeing for commercial gain. The US Is Pushing Back Against China. What Happens If We Succeed?On Looming US-China Trade Deal, Actions Speak Louder Than WordsAmerica's China Bashers Are Gaining SteamFrom the Dreadnought to Modern Stealth: Seeking Military Technological SuperiorityChina Won’t Join the INF Treaty—But Can It Forever Dodge Arms Control?